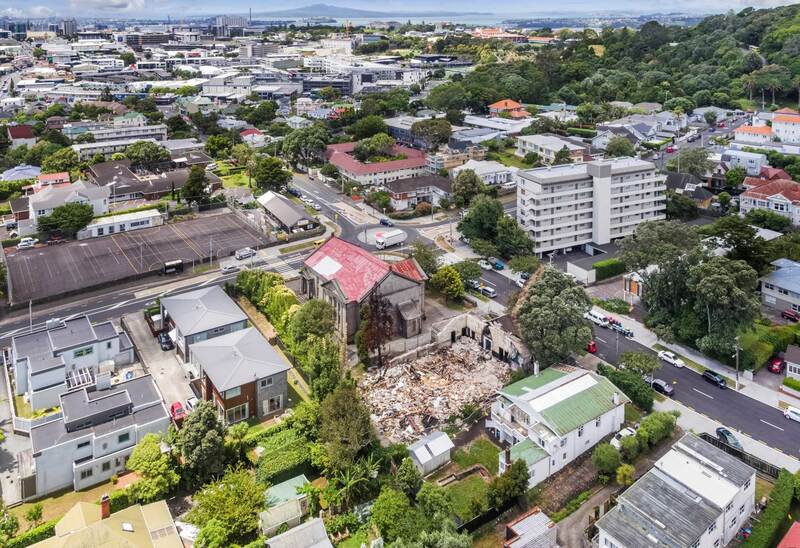 As detailed in a previous post, just before Christmas, Environment Court Judge Smith granted a demolition consent, subject to conditions to be set in February. 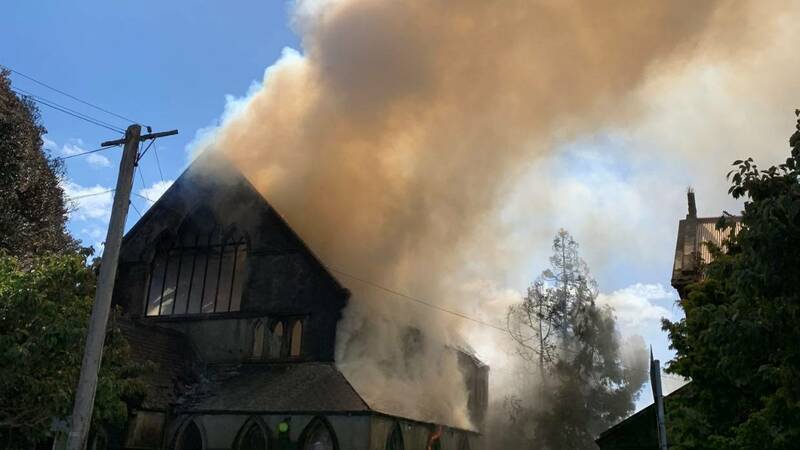 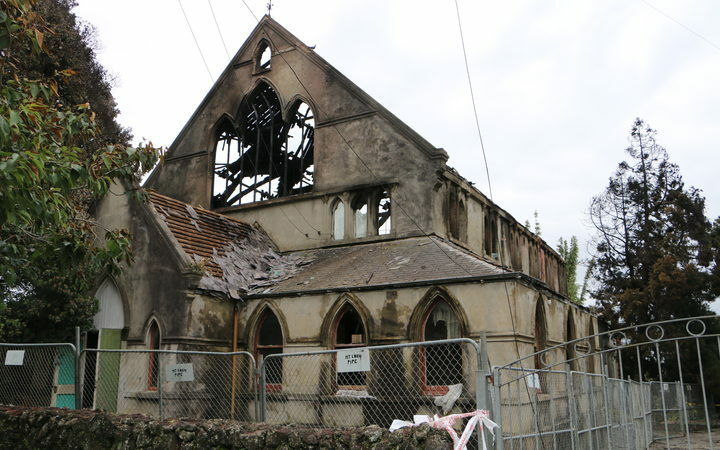 Inexplicably, between Christmas and New Year, while congregation members were meeting in the church next door, a fire took hold in the 1885 hall, and it burnt almost to the ground. 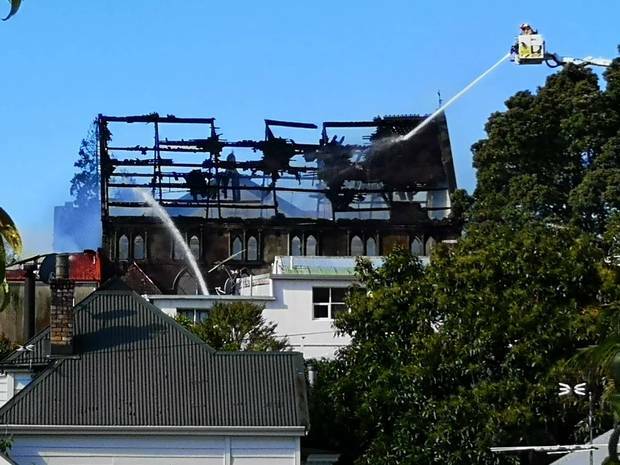 The main body of the hall is now gone, leaving the single storey vestibule facing Esplanade Rd still standing. 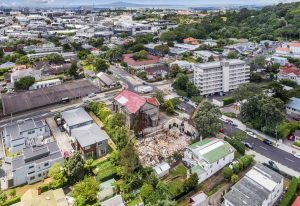 Council’s heritage experts and Heritage New Zealand are both asking the Environment Court, when it sets conditions, to require this remaining structure to be incorporated into any new development. However, this weekend Barfoot and Thompson Real Estate is advertising the entire site for sale, without any mention of its listing as a heritage place, with both the church and hall scheduled Category B under the Unitary Plan. 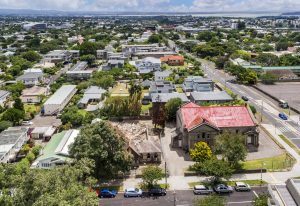 Civic Trust is struggling to understand how a building subject to Environment Court action can be listed for sale.